Furnace maintenance tips to get you ahead of the heating season game. Summer has officially come to an end, and the temperatures are steadily dipping. Before you can cozy up at home, your furnace needs a little TLC. We know, you haven’t thought about that ol’ furnace for months! But now’s the time to check up on it for a smooth transition into heating season. Your furnace needs to be maintained yearly and the best time to do it is before the long heating season. You can enjoy a hiccup-free heating season and avoid expensive furnace replacement or repair with these 5 tips. Clean filters mean air flow, which means a smooth-running furnace! Don’t forget about the bearings either—they need lubrication. Add about 5 drops of lubricant in each port, on each end of the motor. If your furnace has a sidewall vent, the area around the vent needs to stay clear—leaves and high snow levels are common things that build up during the heating season. A little shovelling, a little raking… easy, right? These furnaces also need to get rid of the water they produce during the heating cycle. Water produced is discarded through a condensate drain pipe. Make sure the pipe is free of blockage by taking one end of the hose and pouring hot water into it—this will help remove any blockage. Your home may also have a condensate pump to drain from the furnace (usually if your home doesn’t already have a nearby floor drain). Fill a 1-gallon jug with hot water, and slowly pour the water into the pump inlet. Once the water level nearly reaches the top of the reservoir it will automatically turn the pump on and discharge the water through the outlet pipe—which means everything’s working! It’s important to keep your heat pump’s outdoor condenser clean by washing any debris from the condenser coil. Be careful—don’t spray with a direct stream of water, or else you’ll dent the aluminium fins! Fins that are bent work less efficiently. As for the outdoor unit, regular removal of debris around the area will keep it in tip-top shape. Now that your furnace is primed and ready to go, it’s time to check your thermostat operation! This is to make sure your ecobee and your heating system are talking to each other and will work together to keep your home warm and cozy. 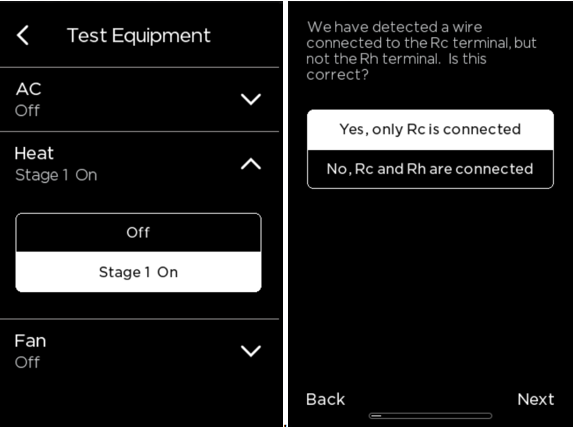 The built-in “Test Equipment” feature on your ecobee makes it simple to check. To access this setting, tap on the Menu > Settings > Installation Settings > Test Equipment. Tap on Test Equipment, then on “OK” to confirm. If your old thermostat had an RC/RH jumper installed and only one actual Red (R)-wire, then you have a single transformer system, and your ecobee will have been configured this way during the initial setup. 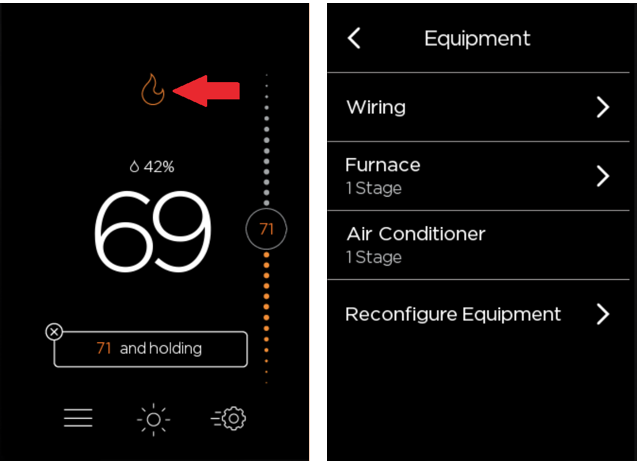 If the configuration is good to go but your furnace and ecobee are still not working together, then there may be a problem with the furnace. A trained HVAC technician will be able to offer their expertise. Don’t get caught with a cold home at the first turn of temperatures! 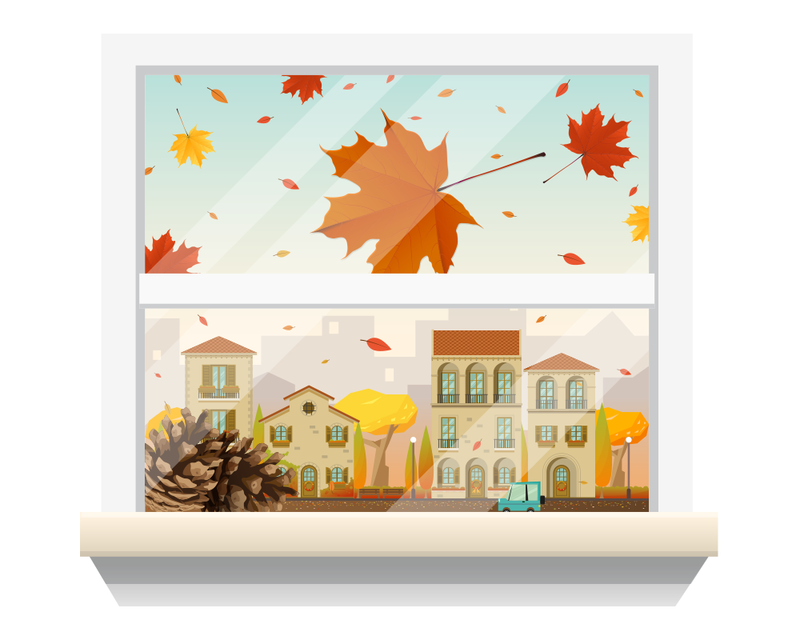 We don’t often think about our heating systems, but to ensure a smooth transition to heating season our furnace maintenance tips are key to getting your home ready for the fall.